One of our favorite food that is located in one our the last remaining traditional market in Bandung. This place is a dying breed of authentic traditional food vendor that probably would not be around in the next decade or two. Lotek is the name of the food. 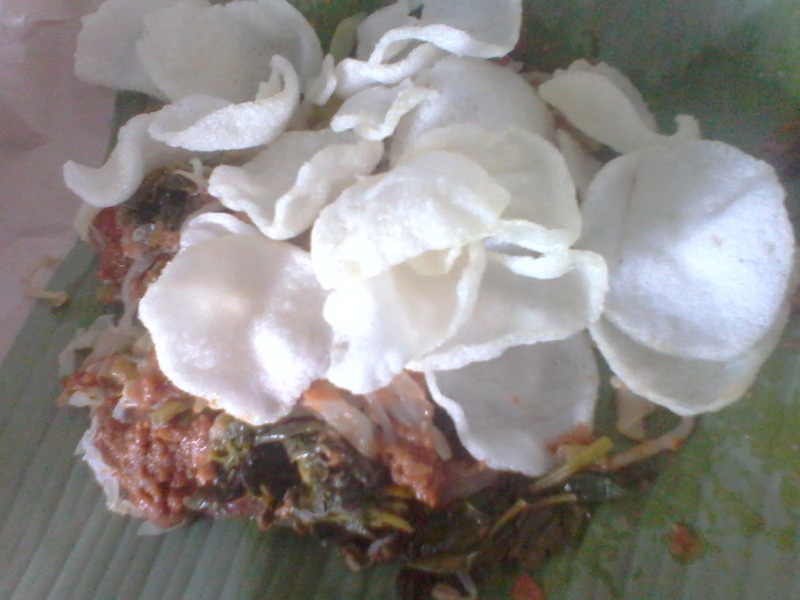 It is consisted of mixed vegetable which then drizzled with peanut sauce and finished with a heaping pile of kerupuk (traditional Indonesian crackers). The making process is still very traditional but yet very fresh. And with a price of Rp. 8.000 (US$ 0.80) you will get a healthy food for your breakfast or lunch (providing that you are not allergic to peanut). Cheap. Healthy. Helping to preserve local food. Could this be a sustainable eating habits that we are often talked about? (Located in the end of the market, just next to the Pindang (preserved fish) seller. You should asked around for it, otherwise you might get lost in here).